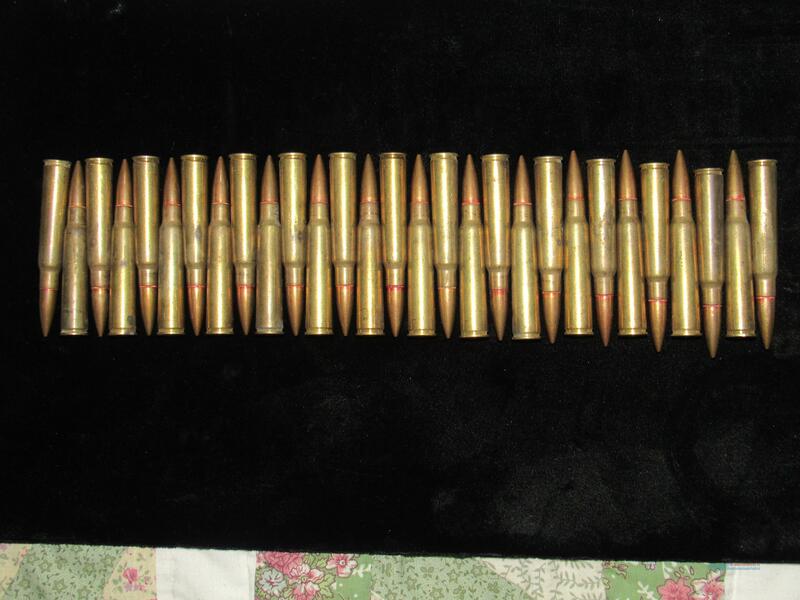 Description: WWII Japanese Type 92 7.7 x 58 Semi-Rimmed Ammo, no box or rail. This is ball ammo that was used in the Type 89 and 92 machine Gun. There are 29 cartridges with the red neck seal and the circle stamped primer. These cartridges have not been fired, they are live and will only fit in the Type 89 or 92 Machine- gun feeder clip. These will not fit in the Type 99 Arisaka 5 round clip. These are semi-rimmed and not rimless cartridges. Starting at $34.00 for all 29 cartridges with $25.00 shipping UPS. Returns are not accepted on this item.